In 1854 a memorial to Guthrie was erected in Fenwick churchyard. In 2005 a plaque was erected in Brechin Cathedral to Guthrie by the Scottish Covenanter Memorials Association. 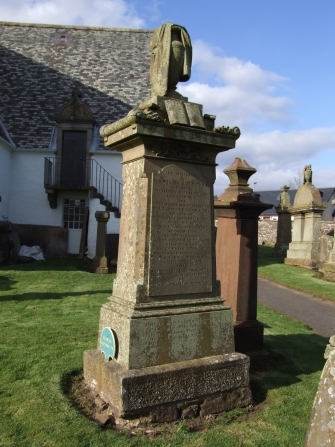 Fenwick parish's first minister, Rev William Guthrie (1620-1665) was born the second son of the laird of Pitforthly in Angus. Like many second sons he was trained in the ministry and was ordained to Fenwick in 1644. He had three brothers who also went into the ministry, Rev John Guthrie serving at Tarbolton until the Restoration of 1662, when he was removed from his charge. Rev James Guthrie was minister at Stirling but was martyred on 1 June 1661.